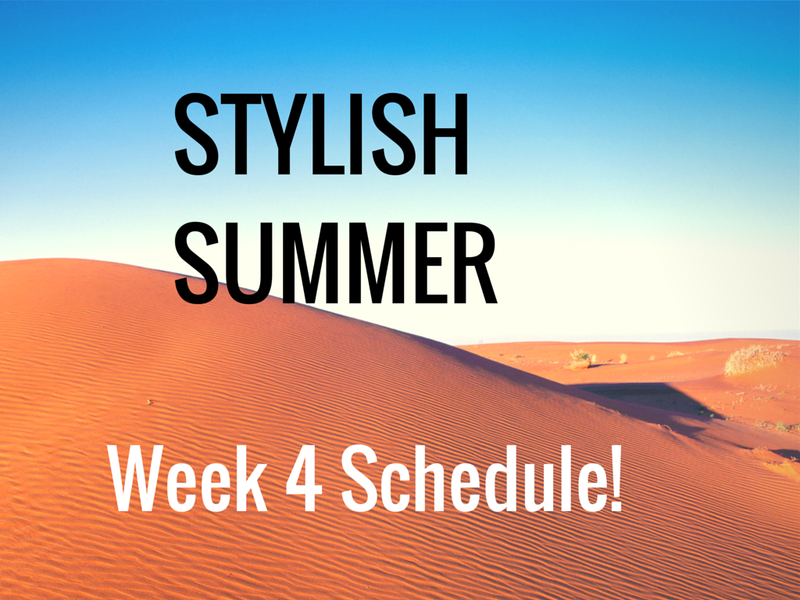 Modern Beauty Girl: Stylish Summer Week 4 Schedule! We're halfway through the Stylish Summer Challenge and you guys are INCREDIBLE! This week's challenges are so much fun and I know you'll love them! Monday: Check in With a Friend! It's the halfway point, and you might be losing motivation. Don't worry, though, get a friend to join this challenge with you so you can motivate each other! Your workout move comes out today! Click here to watch it! We're doing an intense PLANK SERIES this week! I'm obsessed with yoga because it's so relaxing! It's also perfect to get you in summer shape because it forces you to stretch and utilize muscles that you didn't even know you have! Let's call this a "mini cleanse". Dairy causes some intense symptoms in lots of people whether it's from lactose intolerance or just because of the hormones in it. Go dairy free for a day (or a week if you're committed) and see how your energy levels change! I love statement jewelry for summer whether it's a killer pair of mirrored sunglasses or a large bracelet! Wear something big and werk! Friday: Go Social Media Free! Okay, so this one's a bit of a stretch, but if you can't go completely social media free, at least be aware of how often you check everything! And please try to keep the phone down while having conversations with people! Saturday/Sunday: Be a BRONZE GODDESS! I'm obsessed with bronzer for the summer (and I'm quite heavy handed with it!) I'll be posting a bronze goddess makeup tutorial sometime this week, so stay on the look out for that! Also, tweet your bronze goddess selfies using the hashtag #StylishSummer!